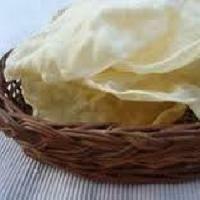 We are recognized as a trustworthy Supplier presenting an extensive assortment of Appalam Papad. 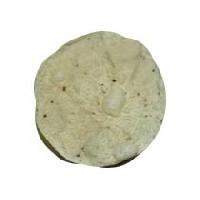 In order to produce quality products, we make use of superior grade raw materials. 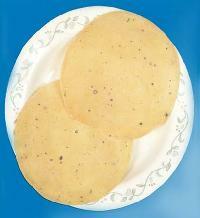 The Applam Papad, supplied by us, has a tempting aroma and a pleasing taste. 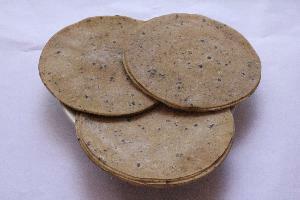 Our quality auditors strictly check the raw materials against varied quality parameters before procurement. We are manufacturing our appalam pappads out of very selective urad gram powder. 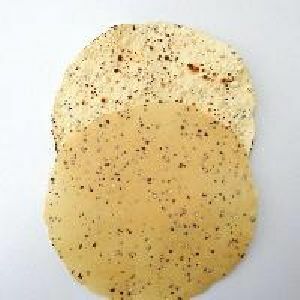 It won't turn redish during frying and become white while frying. 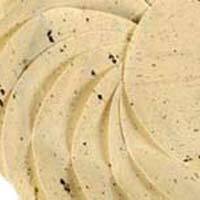 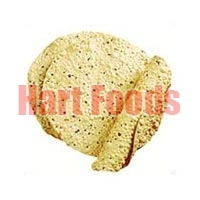 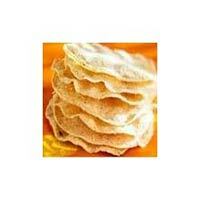 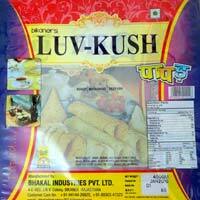 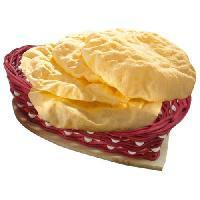 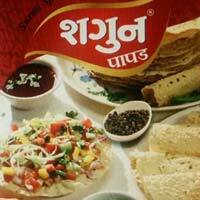 We are well known for supplying of wide variety of Applam Papad. 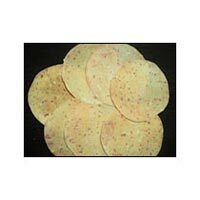 we are manufacturing papad and applam items in chennai. 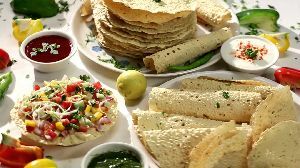 we are interested to know if you are manufacturing or tradingdealing in this field, we would like to supply you if you are interested with our best competitive prices as per your requirement with the assurance of your full satisfaction. 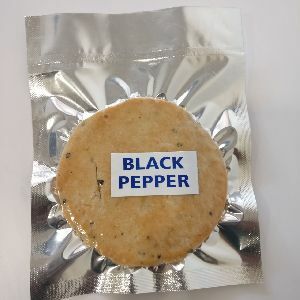 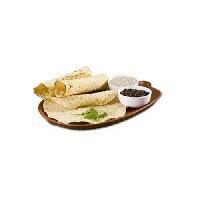 The sound spicy flavor White Pepper Papad makes the, highly preferred. 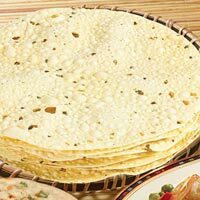 Your search for exceptional quality and reliable White pepper papad; we are a leading Supplier in this domain. 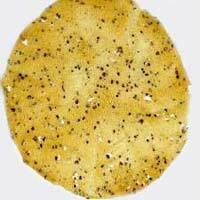 From marketplaces of Surat(India) to all the others, our organization is capable of providing the product to purchasers as per requirement. 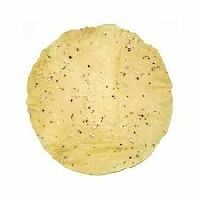 Our Pepper Papad is prepared under hygienic conditions using high-grade ingredients to ensure supreme quality and purity. 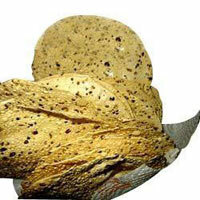 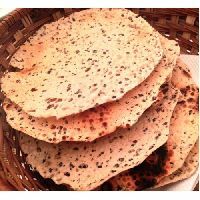 We provide papad that is a combination of different spices, rice flour and urid flour. 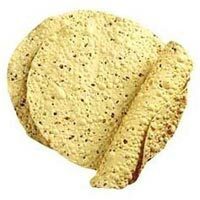 Our Papad is mostly served with khichdi and dal. 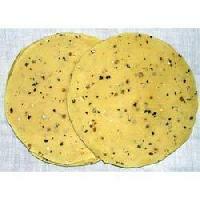 We provide Pepper Papad in different quantities according to the requirement of buyers. 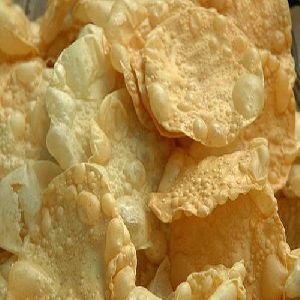 Our Papad is known for its unique and spicy taste. 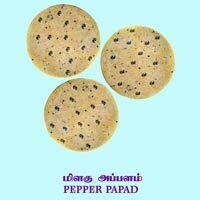 We are an eminent Manufacturer, Supplier and Exporter of Pepper Papad from Madurai, Tamil Nadu. 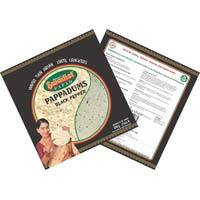 We use high quality and fresh ingredients for making of Pepper Papad. 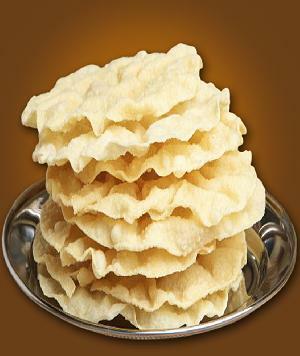 Being thin and crispy, our customers from all over India and abroad widely appreciate our papad. 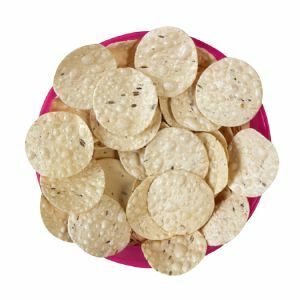 Owning to our efficient logistic structure, we make sure that Pepper Papad is delivered right to the client’s doorstep in the promised time frame.